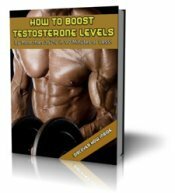 Testosterone Gel & Testicular Shrinkage! I went to a urologist today to check on my overall condition, ask about the varicocele in my testicles and my Testosterone levels. The doc said that the varicoceles on both testes, 3+ left and 1+ right on a 4 point scale, needed to be repaired to prevent further damage, although they are not even done typically after the age of 45 (I am 41). He said that the repair will not improve testosterone levels. He also prescribed Testim Gel. He said to apply it for 30 days, repair the varecocele, and come back. I asked him about diet, exercise, and of course supplements. His reply was very standard - that it is all Internet hype, knowing that men would pay anything to get their T levels up. I asked him about long term benefits of Testim, and he believed that there was a good change (he rated 85%) that Testim would give the body a certain kick start, giving it a necessary boost. I told him that such therapies have a bad name on the Internet, and that supposedly Testim would stop the testicles from producing testosterone naturally. I also bought the testosterone boosting supplements, which have not arrived yet. Should I take Testim? I mean - he sounded so confident. Drugs.com says, seek medical attention right away if you see a change in the size or shape of the testicles. 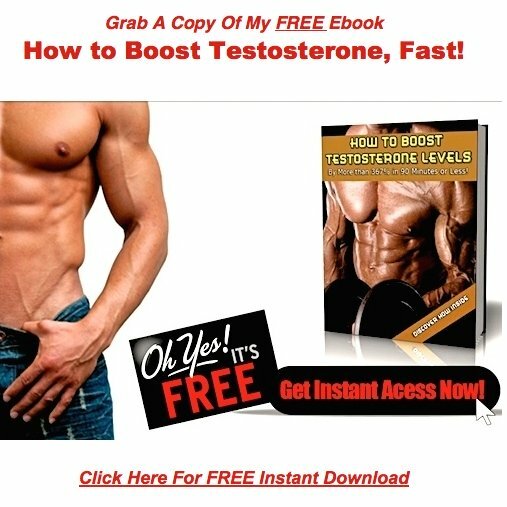 The net is brimming with first hand accounts from men who have used testosterone gel and suffered atrophy as a result. It's basic, everyday common knowledge that adding testosterone from an outside source, will cause your testicles to stop producing, resulting in testicular shrinkage. Why else do you think bodybuilders always include Human Chorionic Gonadotropin (HCG) in their steroid cycles? Because HCG injections artificially stimulate the leydig cells in the testicles to synthesize testosterone. These guys know for a fact, that testosterone therapy without the HCG leads to raisin sized testicles that produce very little sperm, and extremely small ejaculations. This is a cold hard fact, not a theory, despite what your doctor says! Right now you may be saying to yourself, well, why don't I just take HCG with my testosterone gel? Because HCG can lead to prostate growth, Gynecomastia, out of control estrogen levels, and other negative side effects. The female fertility drug, Clomid, to bind up the estrogen receptors in the body to prevent further damage. Normally, once you start hormone replacement therapy, you're in for life. Think about all this stuff for just a minute, and ask yourself, just how bad do I feel right now? Bad enough to go on this cocktail of artificial substances for the rest of your natural life? In our earlier conversation, I warned you that doctor man would pull out the prescription pad and prescribe testosterone replacement therapy if you went to see him with this problem. He has to do it this way, because that's all he knows! Doctors aren't trained to heal, they're trained to medicate! The more you allow him to drug and medicate you, the worse off you'll be emotionally, physically, and mentally. If I were in your shoes, I'd fire your doctor, and look for 2nd, 3rd, and 4th opinions. Check your local listings for a doctor who practices naturopathic medicine. Keep searching until you locate a physician who doesn't run straight for the prescription pad every single time a patient walks in the front door. They're out there, you just have to look real hard to find them. Your goal once you locate this man, is to discover whether or not you need surgery to deal with your varicoceles. Not, which cocktail of drugs you should be taking to treat them instead.